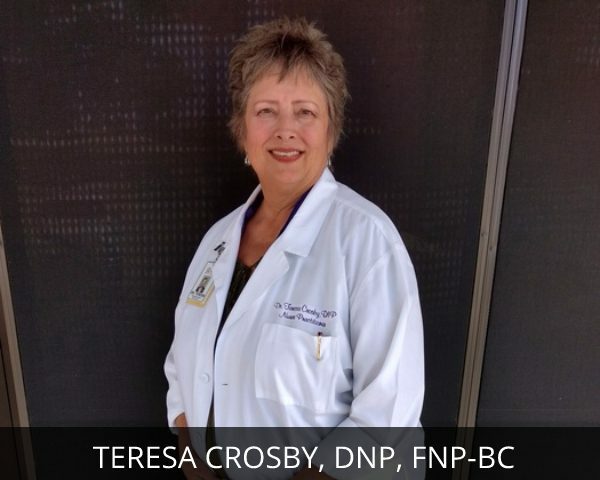 Teresa Crosby, DNP, FNP-BC | Glen Rose Healthcare, Inc. Doctorate in Nursing Practice from TCU in 2010.
and she has now joined Pecan Family Medical Center. – 573-0444 for an appointment.